orissa is now odisha and oriya now to odia adding another tongue twister. a bill passed for the transformation of name of orissa to odisha. long awaited proposal of odisha and odia has been passed. actually the pronunciation of orissa here is odisha and oriya similarly odia. on 24th october 2009 the bill was passed for the transformation, which took a long time for the updation of name all around. just like bangaluru from bangalore and chennai from madras and kolkata from calcutta. name transformation has taken a leap and has become a trend like thing in india. Orissa: About this sound Orissa, or Odisha, is a state of India, located on the east coast of India, by the Bay of Bengal. It is the modern name of the ancient nation of Kalinga, which was invaded by the Maurya Emperor Ashoka in 261 BC. The modern state of Orissa was established on 1 April 1936 as a province in British India, and consists, predominantly of Oriya speakers. 1 April is therefore celebrated as Utkal Divas (Orissa Day). Orissa is the ninth largest state by area in India, and the eleventh largest by population. Oriya is the official and most widely spoken language. Orissa has a relatively unindented coastline(about 480 km long and lacks good ports, except for the deepwater facility at Paradip. The narrow, level coastal strip, including the Mahanadi River delta supports the bulk of the population. The interior of the state is mountainous and sparsely populated. Deomali at 1672 m is the highest point of the state. Orissa is subject to intense cyclones. The most intense one, in October 1999, Tropical Cyclone 05B caused severe damage and some 10,000 deaths. 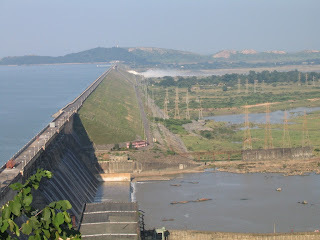 Orissa is home to the Hirakud Dam, the longest earthen dam in the world. 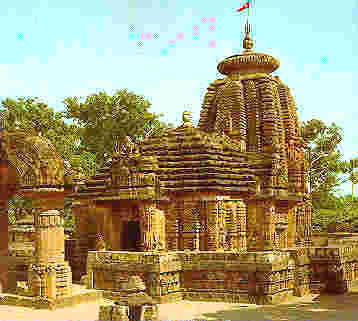 Orissa has several popular tourist destinations. Puri, with the Jagannath temple near the sea (famous for Rath Yatra or the Car Festival), and Konark, with the Sun Temple, are visited by thousands of tourists every year. The Jagannath Temple of Puri, The Sun Temple of Konark, The Lingaraja Temple of Bhubaneshwar and the Barabati Fort of Cuttack are important in the archaeological history of India. Very good information about Odisha. Short but clearly you describe. Thanks for sharing. Thanks Manoj sir. please keep guiding me, through these kind of comments, your suggestions really give me strength and inspiration to take out some time for my blog. thanks again sir.